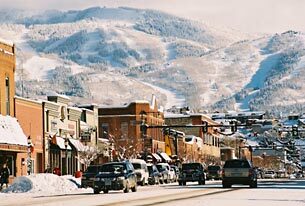 In Steamboat Springs our western heritage continues to set us apart from all other ski resort towns. It's a place that welcomes vacationers with open arms and enough small town charm to keep you smiling even after you leave. Steamboat is known around the globe as Ski Town USA®. Its skiing heritage dates back to the early 1900s. No other town in North America has produced more winter Olympians than Steamboat Springs, a record 54 and counting. In fact, Steamboat sent more athletes to the 2002 Games than many small countries.